Tahiti! Just the sound of that name stirs up exotic images in your mind. 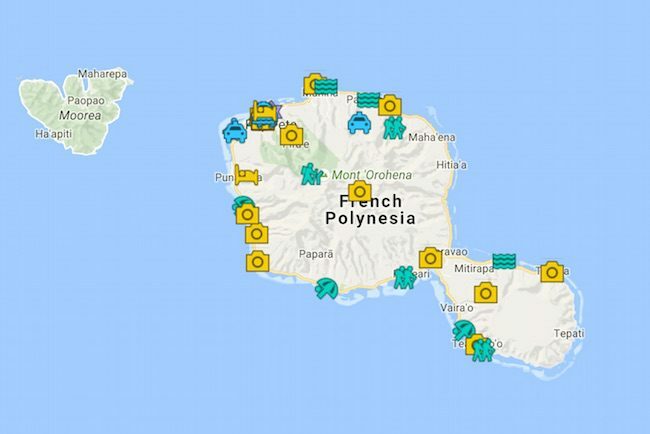 If you’re visiting French Polynesia, there’s no way of avoiding the big island. But ‘the Queen of the Pacific’ offers so much more than just last minute shopping. 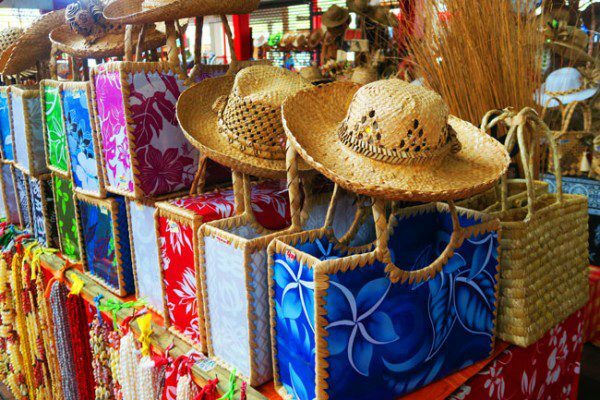 Home to the only big city in French Polynesia – Papeete, you’ll love strolling through its colorful market and busy waterfront. Dig a bit deeper and head out of town to discover the famous black sand beaches, ancient archeological sites, surf spots & laid back seaside villages. Looking for that postcard view? 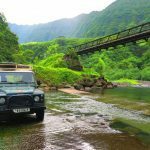 Venture into the uninhabited interior on a hike or 4X4 adventure, get up close and personal with giant volcanic peaks and cascading waterfalls coming out of everywhere. The best part? 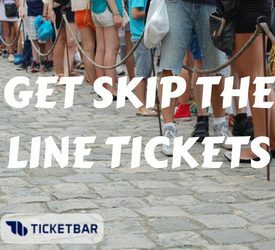 You might be the only one there! This Tahiti Travel Guide will help you make the most of your time on the big island. Tahiti is often the name used for the entire 118 islands and atolls that make up French Polynesia, though it is an island on its own. I spent three months in French Polynesia and over two weeks in Tahiti, as part of a six-month backpacking trip across the South Pacific Islands. During the following years, I returned several times to Tahiti both as a traveler and group leader. 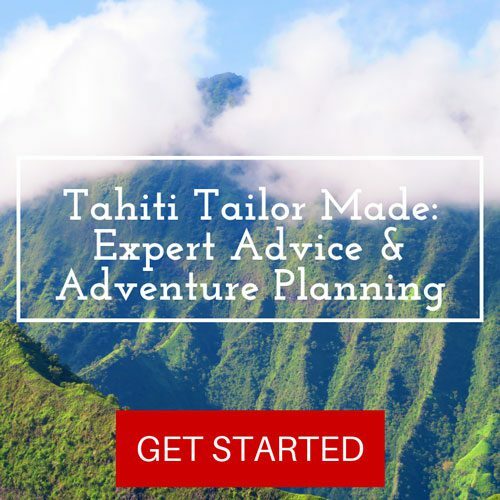 This travel guide to Tahiti was written based on my experiences and is meant to help you make the most of this once in a lifetime destination. 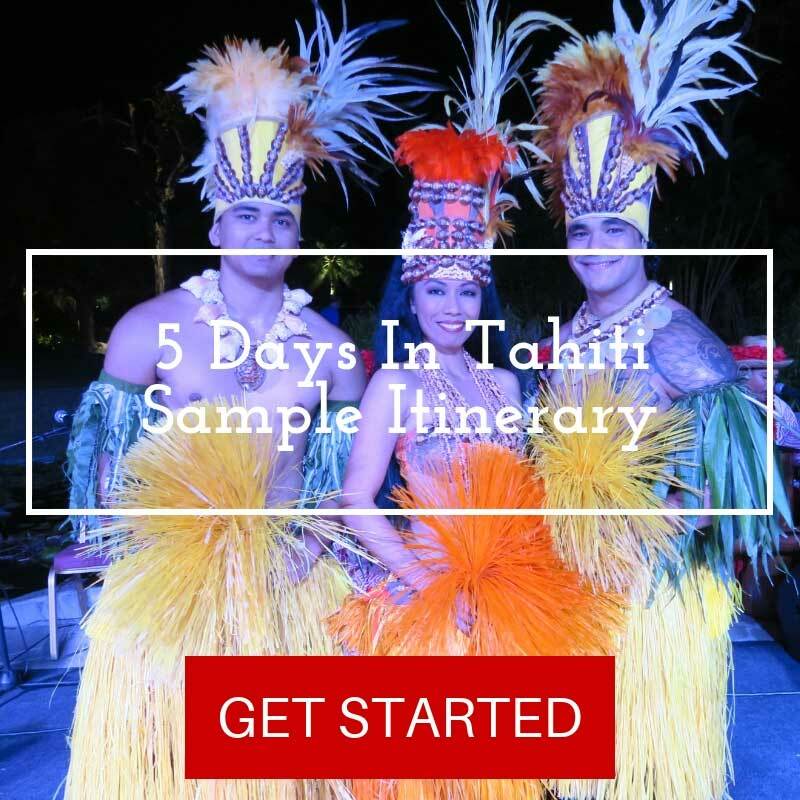 The Tahiti Travel Guide is geared towards independent travelers, but any visitor will find it useful. 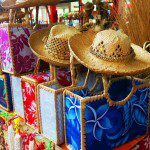 In this article, we’ll explore the island of Tahiti. 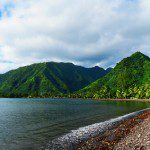 Why Should You Visit Tahiti? The fact is there is no way to avoid setting foot in Tahiti. 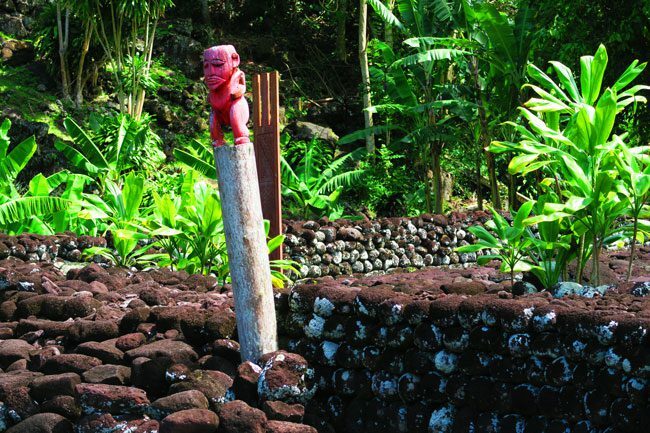 It is French Polynesia’s international gateway and all visitors arrive and depart from Faa’a International Airport. However, Tahiti is totally worth a few days. 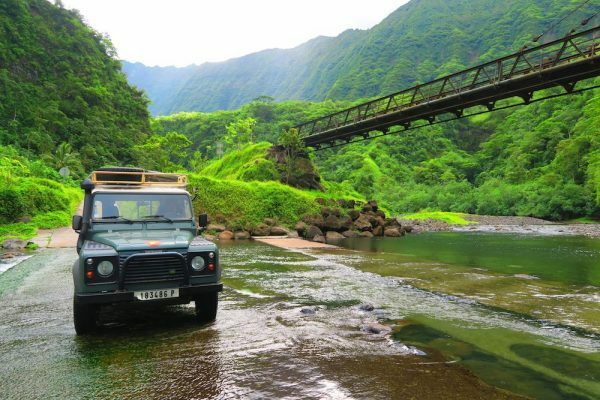 The big island may feel out of place at times, but nothing beats the vibe of the Papeete Market, the dramatic interior that so few explore, the hiking and the opportunity to head out on a proper road trip. 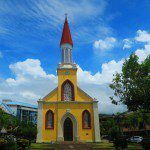 If you’re looking for something beyond the white sand beaches, spend a few days exploring Tahiti. 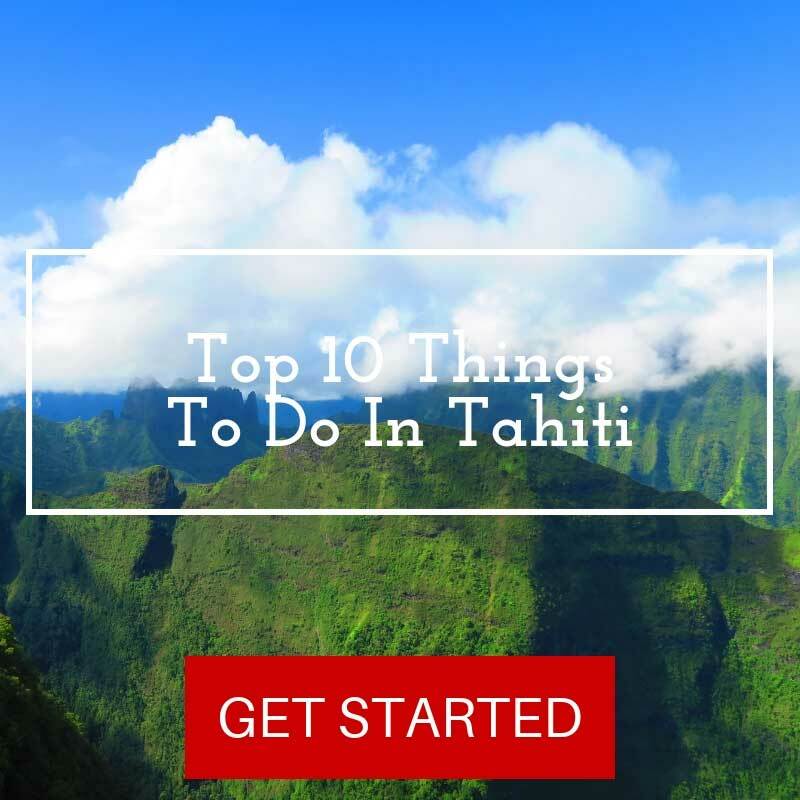 What’s Included In This Guide To Tahiti? Click on the image to open in Google Maps. 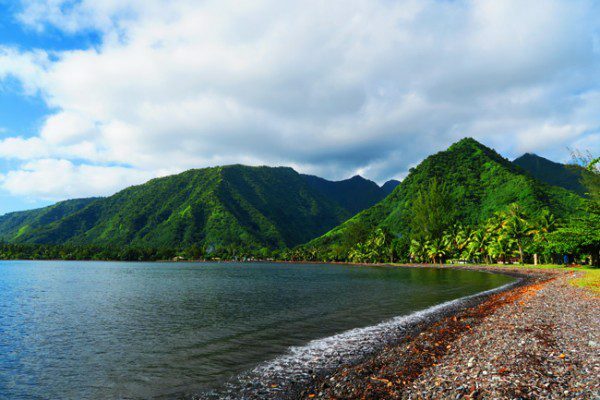 This map features all the Papeete and Tahiti highlights mentioned in this guide. 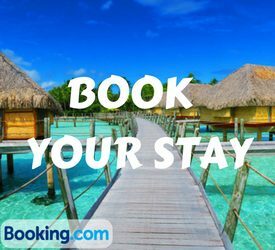 Where To Stay In Tahiti? 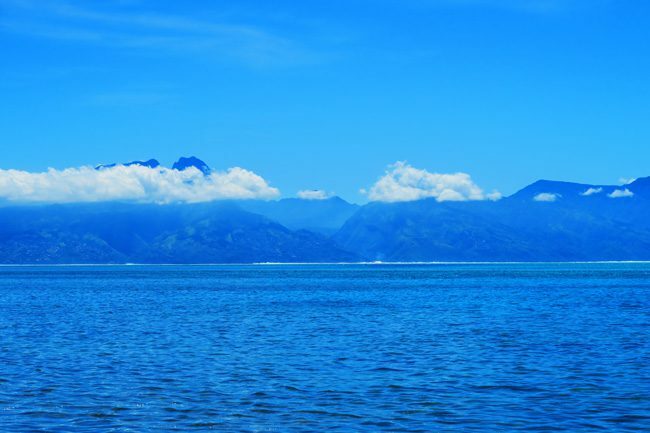 Unless you’ll be renting a car for your entire visit to Tahiti, I highly recommend staying in Papeete. That way, you can enjoy the big city and rent a vehicle when you want to explore the island. 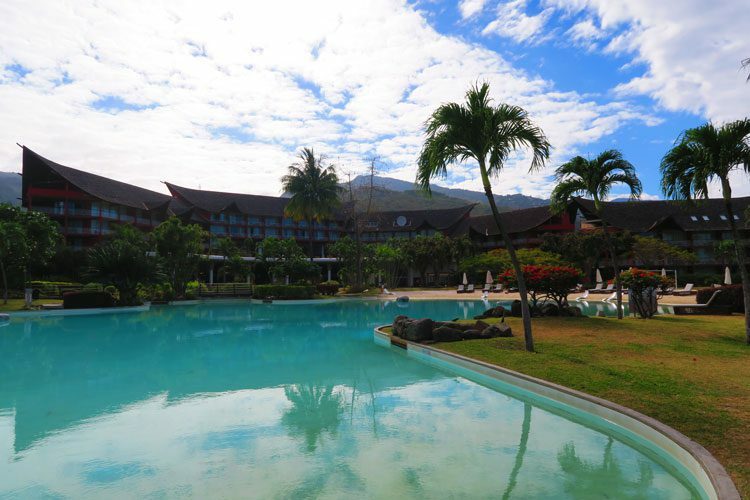 If it’s the resorts you’re looking for, they’re all outside the city in a more quiet and beachside setting. 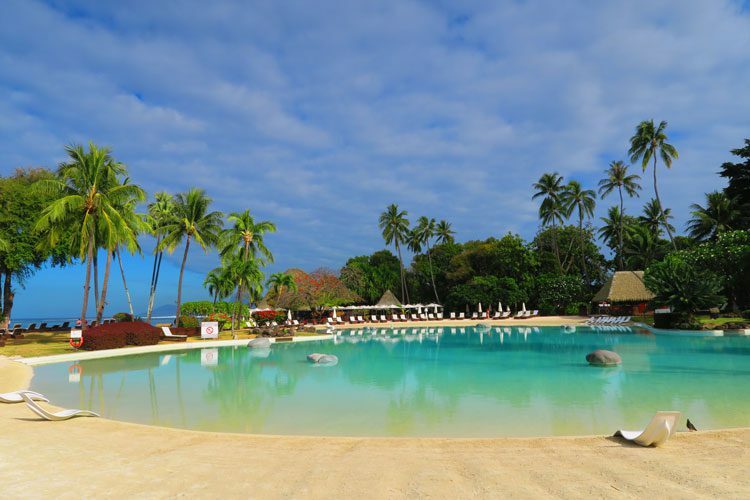 The best ones are the InterContinental, Sofitel Tahiti, Pearl Beach, and Manava. 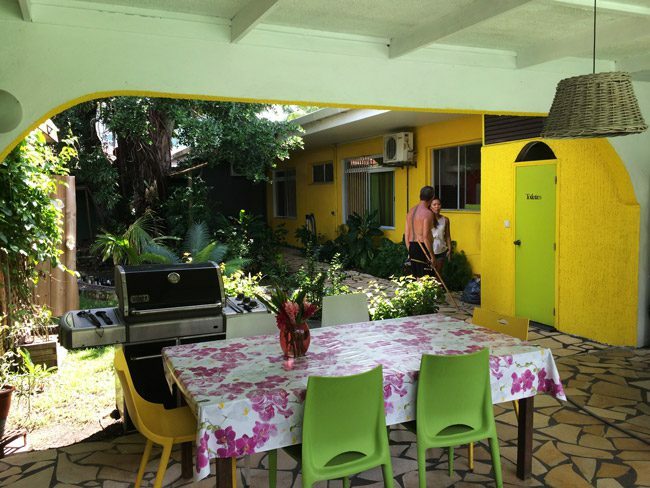 For a classic backpacker hostel in Tahiti, have a look at the Mahana Lodge. 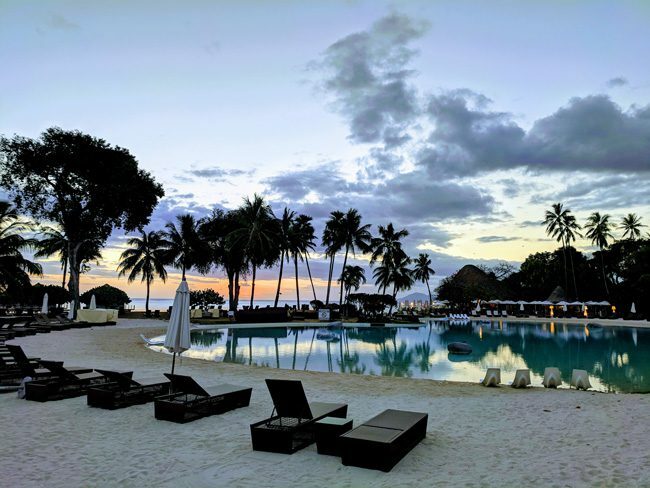 Sofitel Tahiti: formerly Le Meridien Tahiti, this luxury four-star resort changed hands in October 2018 and is now part of the Sofitel chain (its current official name is Hotel Tahiti Ia Ora Beach Resort). 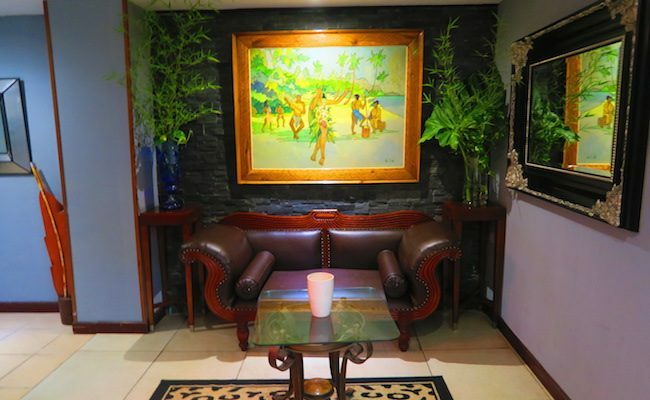 Its location is second only to the five-star InterContinental, taking up prime real estate along a pretty beach which faces Moorea on the island’s sunny west coast. 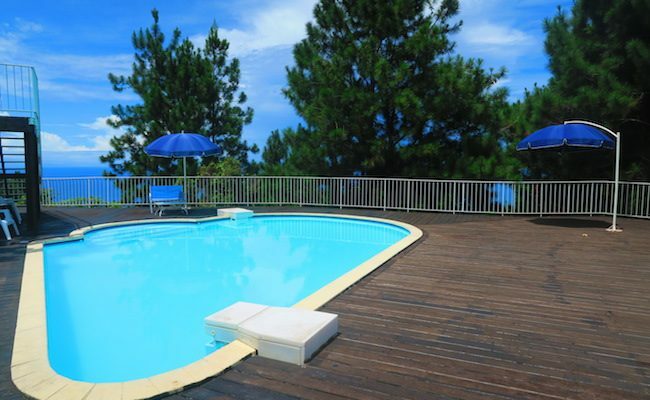 The resort is about a 15-minute drive from the airport and 25 minutes outside of Papeete. A taxi to each of these destinations should cost between $30-40. What I especially liked about the resort is its tranquil setting along with their incredible buffet dinner and show – not to be missed! 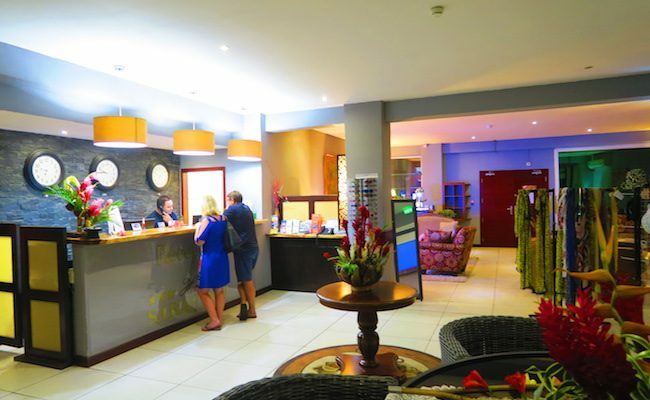 Hotel Sarah Nui: This 3-star hotel has a great location, walking distance from the ferry terminal, market and all the Papeete highlights. 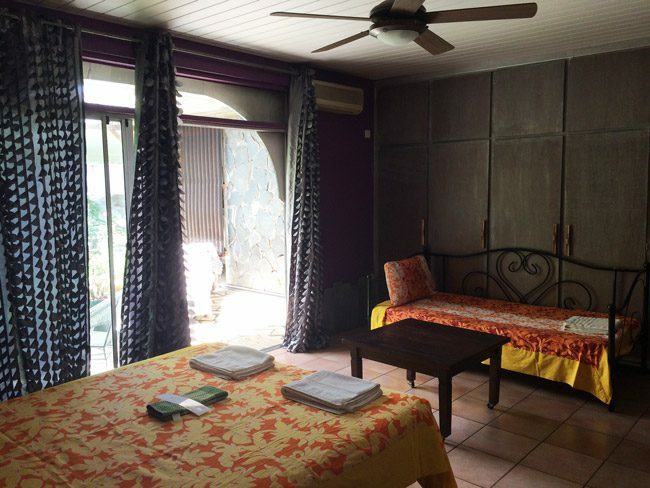 Rooms are air-conditioned and equipped with a mini-fridge, a safe and some even with a small kitchenette. Above all, there’s excellent free Wifi throughout the hotel! 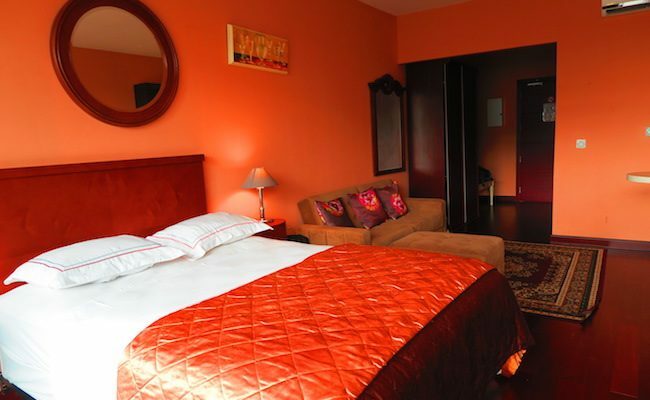 The hotel provides a free shuttle service from the airport and free parking if you’ll be renting a car. For an extra 1,800F, you can also enjoy an excellent buffet breakfast. 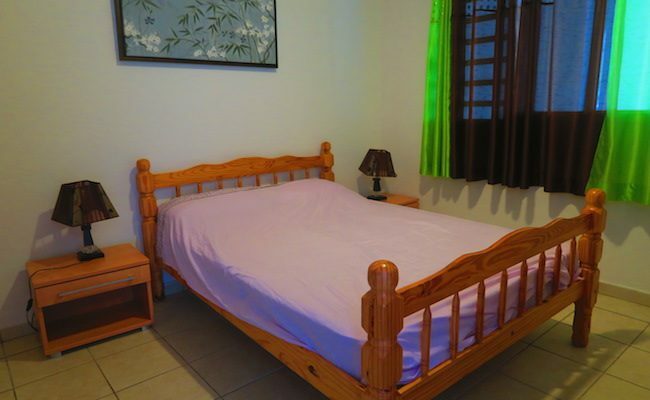 Fare Rea Rea: if you’re looking for budget accommodation in Tahiti, look no further than Fare Rea Rea. I found this place on Airbnb and stayed here 3 times on separate occasions! 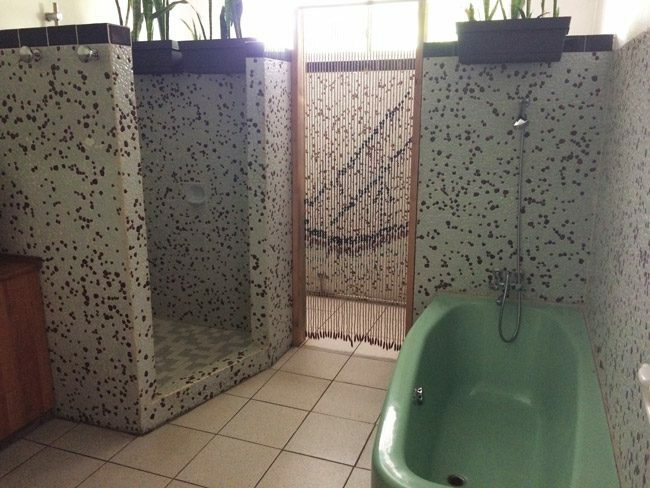 Owned and operated by Luc and his lovely wife, this listing consists of a number of rooms centered around a common area and a swimming pool. 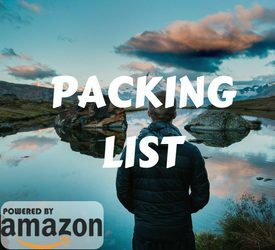 It’s the type of place to interact and meet other guests while enjoying the warm hospitality offered by the hosts, who truly care about backpackers and budget travelers. 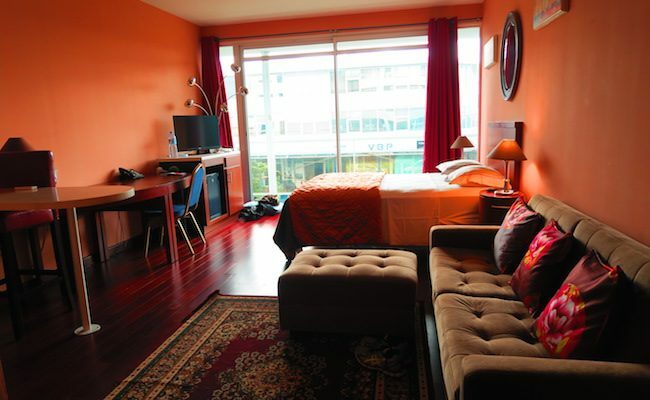 You can choose from shared or private rooms to suit your budget, and the best part – there’s air conditioning! Other things to note: airport pickup/drop off can be arranged for 2,500F, WiFi is lightning fast, if you’re sharing a bathroom and shower – there’s only one of each but the shower has warm water, safe storage is available in your room and lastly – you’re about a 20-minute walk from the market/ferry and about 3 minutes away from a supermarket. This is a great find in Papeete! 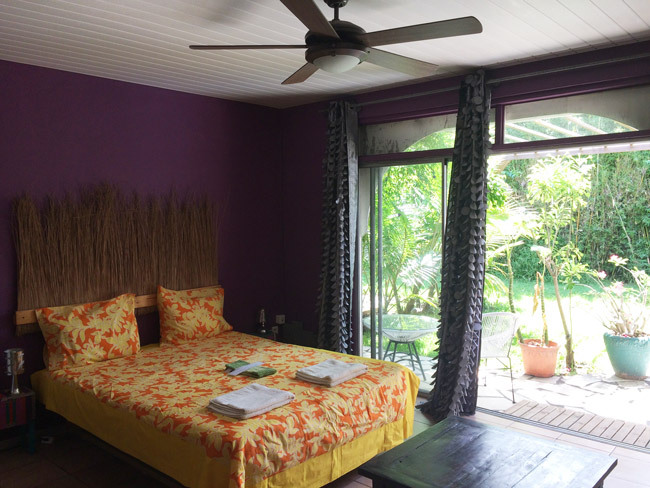 You can book directly via Airbnb (here’s a link to all the rooms offered) or by emailing Luc directly at lfrancois.tahiti@gmail.com. Tell him I said hi! 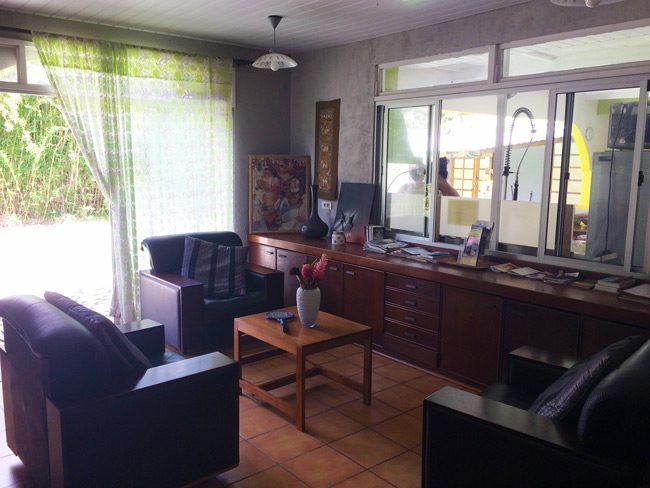 Residence Aito: If you’re looking for that ‘home away from home’ and will be renting a car, this is probably one of the best bargains in Tahiti. 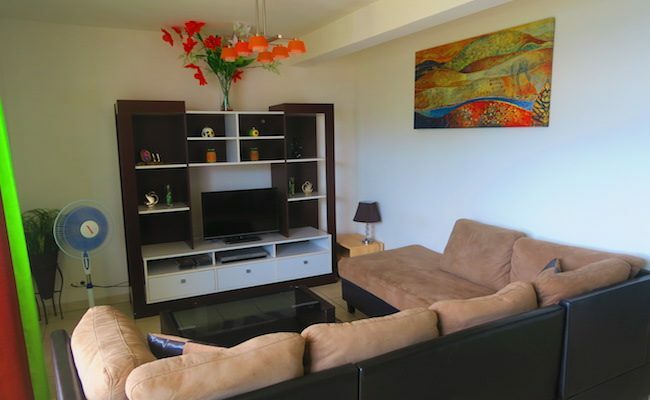 Situated at the top of a hill in the affluent suburb of Punaauia, you’ll be staying in a residential apartment complex just 15 minutes from the airport and 25 from Papeete. It will feel like you’re miles away up here, and the air is even a bit cooler and less oppressive than down by the lagoon. If it does get too hot, just hop in the swimming pool! 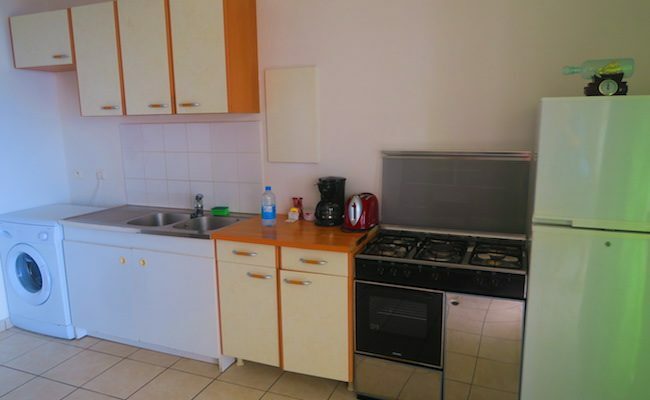 You basically have your own apartment, equipped with a kitchen, living room, washing machine and even a balcony with views of the island of Moorea. Wifi is available in the apartment complex’s common area. Once again, to take advantage of this great bargain – you must have your own car. 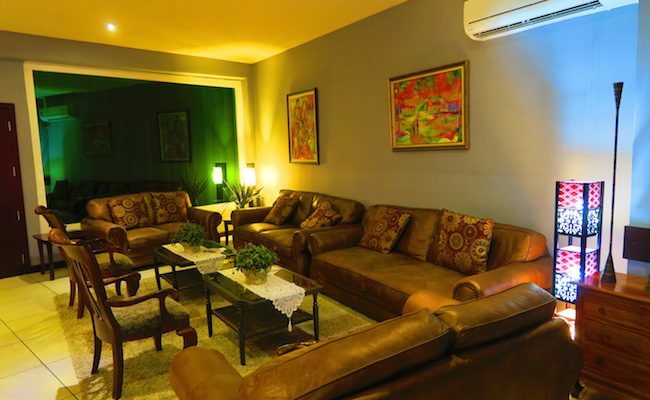 The apartment is at the top of a steep hill and you won’t be able to use public transportation to do grocery shopping or visit Papeete. Tahiti is the largest island in French Polynesia, home to the capital Papeete and the economic & political center of French Polynesia. Roughly 70% of French Polynesia’s total population resides in Tahiti (~ 180,000). 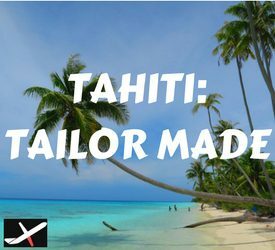 Tahiti is shaped like a ‘figure eight’, consisting of two islands connected at the hip like Siamese twins. The bigger of the two is Tahiti Nui and the smaller sister is Tahiti Iti. 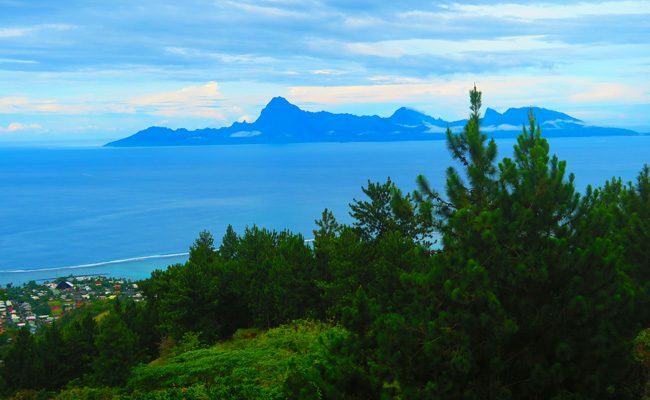 Tahiti Nui is home to the bulk of the population, living on the scarce flat land by the beach and even on the mountain slopes around the capital. Tahiti is a high island with a coral reef present around most parts. It was formed by a now extinct volcano, whose crater forms the island’s uninhabited interior, circled by massive peaks – of which the highest of which is Mount Orohena (2,241 m). Tahiti is part of the Society Islands and was not the first island to be settled in French Polynesia. It is believed that it was one of the last to be colonized by the ancient Polynesians, on their incredible voyage across the South Pacific Ocean which probably started from somewhere in Southeast Asia thousands of years ago. 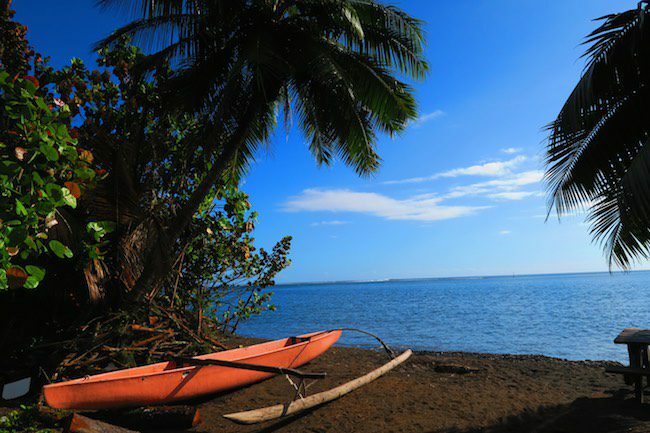 Pioneers arrived on giant double-hulled outrigger canoes – with one section devoted to plants, animals, and tools, while the other served as housing for the sailors and their families. Contact with Europeans started in 1767, with the arrival of British captain Samuel Wallis. Other maritime ‘celebrities’ to visit Tahiti include Captain James Cook, Bounty captain William Bligh and even famous ‘mutineers’ – who returned here after taking over the ship from Bligh. With the Europeans, arrived the missionaries. First, it were the British Protestants, followed by the French Catholics. 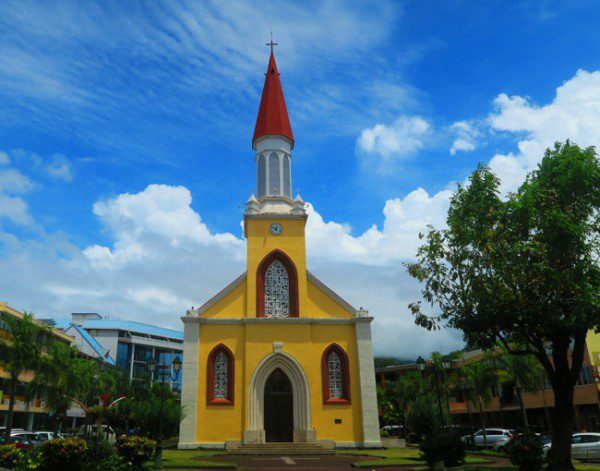 The expulsion of two French missionaries in 1836 sparked the beginning of a French takeover of the island, with its annexation to France from the Kingdom of Tahiti in 1880. 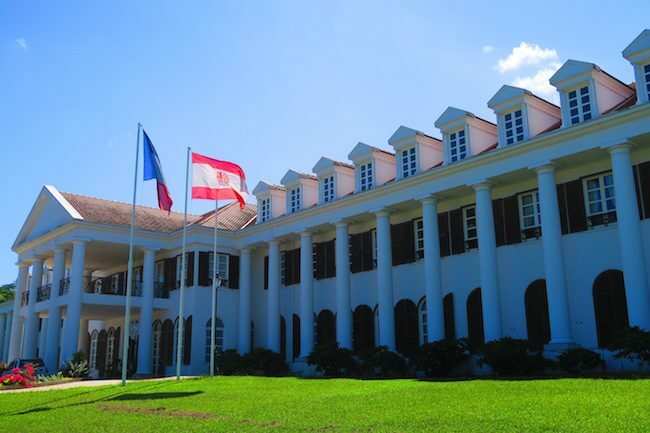 In 1946, Tahiti and French Polynesia became a French overseas territory. 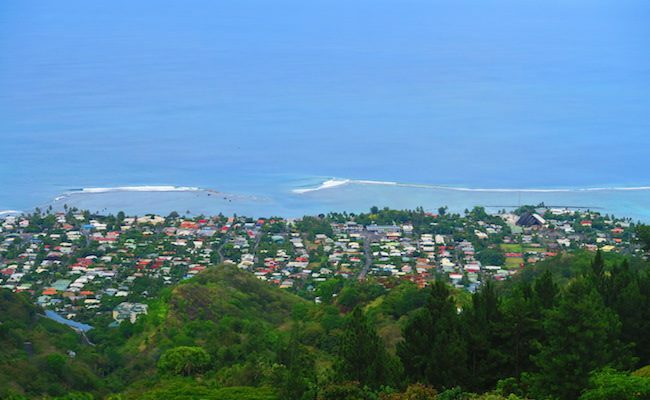 These days, Tahitians enjoy somewhat of a cosmopolitan life – with easy access to the big city of Papeete and all it has to offer. 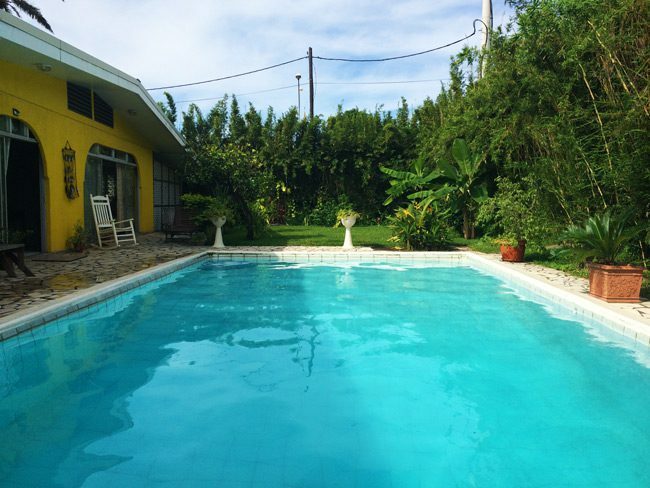 While traffic is bad and housing is scarce around Papeete, the further you travel out of town – life becomes more traditional and easy going. Let me just say that your website is THE best guide to the Pacific islands. 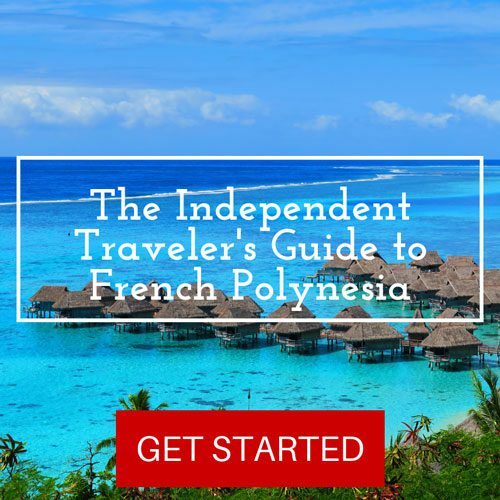 Mostly all of our activities for our French Polynesia trip this July was planned using this website. It’s hard to come across such unbiased and detailed descriptions of these popular destinations. So thank you so much for your work and effort. Really honored to hear this Erik. Thank you! I wrote these guys exactly so that folks like us can see this magical part of the world. Enjoy paradise! I finally found Tahiti island information that is my type of adventure. Thank you! So excited to go this December. I had already planned on doing the hike up to the Devil’s Ridge Pass, can you tell me why exactly you didn’t cross it and the total time from arriving to the parking lot to arriving again after the hike (returning on devils ridge) I was thinking start the hike around 9am, maybe there will be less clouds by the time I reach the ridge? Thanks! Tahiti is amazing! You’ll have a great time. The Mount Aorai hike is a very challenging hike and the section which starts from the first refuge hut and goes to the summit is a dangerous one, year round. During the wet season, hiking the trails gets even more dangerous and that is the reason why I went no further than the first hut. If luck provides you with consecutive days of sunny weather in (usually rainy) December, start hiking by no later than 5am if you want to summit. By 10-11am, it gets cloudy and not worth it (not to mention extra dangerous). Alternatively, you can overnight in one of the huts. It took me about 2-2.5 hours to get from the parking area to the first hut, and it’s a further one hour to the pass. Hope this helps and do hike with extreme care!